Trade with shares of Kozlodui-based Enemona Jsc started on BSE today, the price currently varies between 17 and 18 leva. Six shares changed hands at 150 leva. The lowest price so far was 16.90 leva, which is close to the 16.80 leva at the IPO. Despite BSE's temporary restriction on the use of the additional module COBOS-Client Portfolio, there are problems with the connection to COBOS this morning. BSE's restrictions lead to slower confirmation of transactions, which puts the individual investor in an unequal position. Sometimes confirmation takes up to 5 min. As you know Enemona Jsc filed an IPO on November 26, successfully placing 2 mln new shares. The IPO price equaled the maximum 16.80 leva of the price range set by the company. The issue's value stands at 11,933,600 leva (6,101,522 euros) allocated in as many shares with a face value of 1 lev. The bourse code assigned to it is ENM. The IPO triggered a lot of interest and was oversubcribed 30 times. 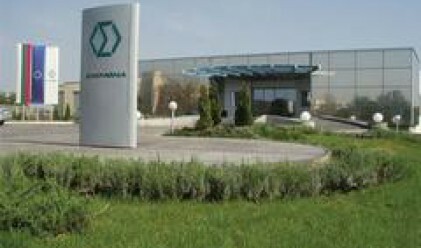 Underwriters Elana Trading and United Bulgarian Bank received orders worth 1 bln leva (511.291 mln euros). Enemona will use the IPO proceeds to fund its investment program. The company plans to file another capital increase by 2010, which will bring its free-float to 25%. Enemona Jsc is a Bulgarian private company, its core activities include implementation of projects in the field of conventional and nuclear energetics, ecology, energy efficiency and renewable energy sources.